Find out what's responsible for the smell of rotten eggs - compounds of sulfur! 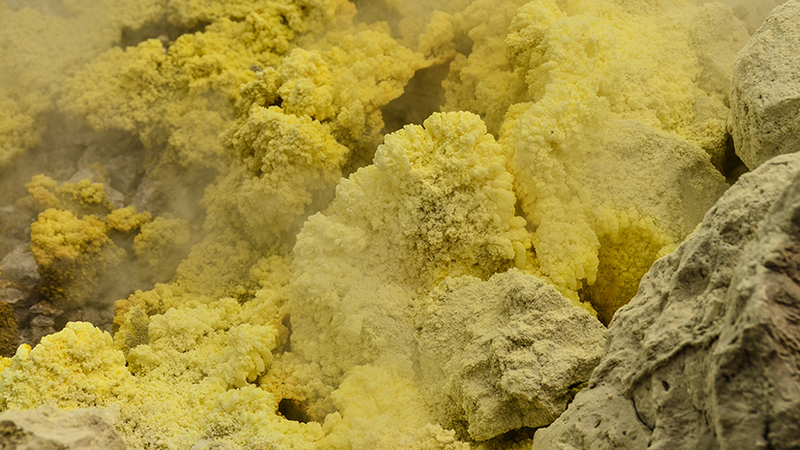 Sulfur in its pure form is a bright yellow solid. Sulfur compounds are responsible for pungent smells, like raw garlic and rotten eggs. Sulfur's mains use is in the production of sulfuric acid, which is used in fertilisers. On the planet Venus, the clouds aren’t made of water, like on Earth. They’re made of sulfur dioxide and droplets of sulfuric acid – two compounds that contain the element sulfur.